Why Cape Town? The Mother City has a big drawcard: Stunning scenery, great lifestyle and the most friendly people. The easy pace of life and cosmopolitan mix of own culture attracts many people from around the world. So no wonder, tourist and expats alike vote consistently for Cape Town to rank among the top cities around the world. 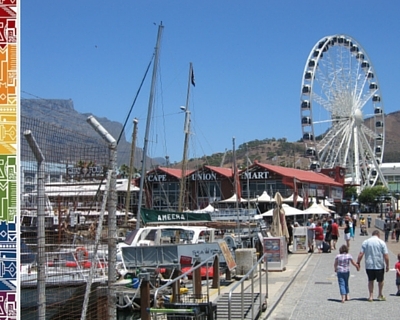 Let's show you what makes Cape Town is such a major attraction for the global community. The awesome Table Mountain range with the Twelve Apostles, the white sandy beaches and not to forget the vicinity of the Cape winelands and the fabulous cuisine also come up first when you ask anybody about what makes Cape Town so attractive for travel. Why Cape Town? The stunning scenery! Read more facts. Cape Town has been voted as the best city in the world by the UK Telegraph's readers - for the fifth year in a row! And what do you think British travellers named the three best countries? South Africa, Maldives and New Zealand came top! Why Cape Town? Tourists and business travelers love to visit Cape Town and call this vibrant city one of the most favorite travel destinations in the world. 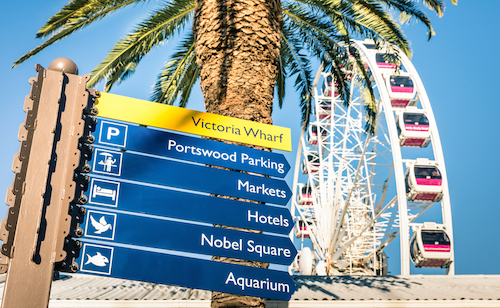 Tourist numbers for Cape Town especially are growing well, with more than 300,000 people employed in the tourism sector in and around Cape Town in 2017 (Wesgro, 2018). Be assured some of these accolades will blow you away. Why Cape Town? 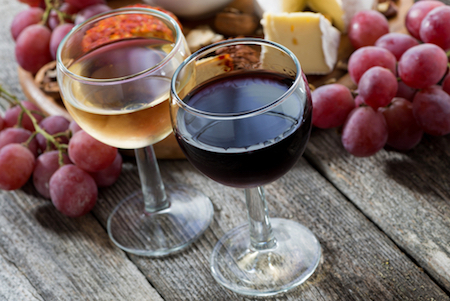 Lekker Food and Wine! Read more. Cape Town is named the favourite culinary city in the world by Conde Nast readers who also rank the Mother City among the 15 best cities in the world for travel in general. Cape Town is a major conference hub on the African continent and many world-class exhibitions and conferences are staged here, and it is wonderful news to have Africa's top conference hotel, the Radisson Blu, located in Cape Town (according to World Travel Awards 2016). And with all these accolades, it is no wonder more and more people are considering to travel or even live in one of the world's most beautiful cities: Cape Town. Why Cape Town? What makes Cape Town stand out from all those splendid places around the world. What do we like about the Mother City of Africa? Let us start with the pure facts and most recent accolades the Mother City has achieved in the past years. US News & World Report Rankings recommends Cape Town among the top destinations worldwide - ranked 11th in their 'Best places to visit' category. 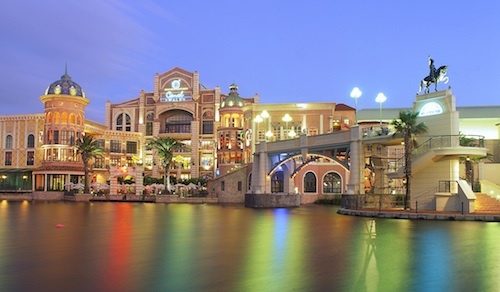 Cape Town is voted one of the best shopping cities in the World by Conde Nast readers in 2015. 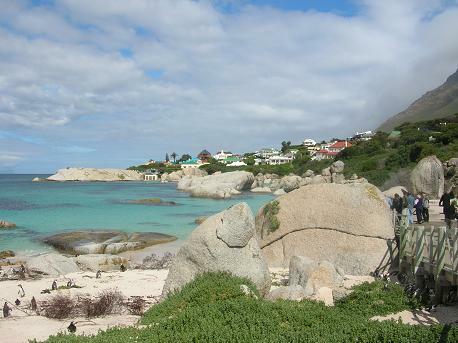 TripAdvisor names Cape Town among the top ten destinations in the world. Cape Town is World Design Capital and hosts a variety of cultural and design events throughout the year. The city is named among the most eco-friendly cities in the world according to BBC Travel. Read more about Boulders Beach here. Cape Town is the Best City in the World according to the Telegraph Travel Awards. Read more. In the Tripadvisor Travelers' Choice Awards, Cape Town has been named as one of the 25 best destinations in the world, ranking 16th. And the majestic Cape Grace Hotel at the V&A Waterfront is the second best hotel in the world. Read more. 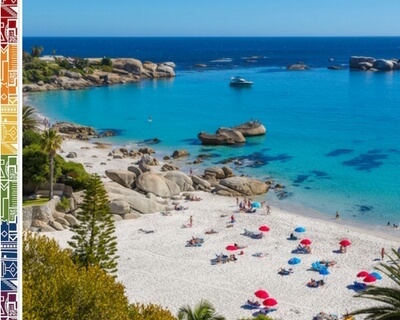 Cape Town's Boulders Beach was named in the Tripadvisor Travelers' Choice Awards as one of the 10 truly unique beaches in the World. 2012 - Why Cape Town? Cape Town South Africa is voted the Top City in Africa in the Travel and Leisure survey and 4th best city in the world! Read more. CNN World calls Cape Town one of the ten most loved cities in the World. Read more. Two of the three best city hotels in Africa and the Middle East are in Cape Town, according to Travel and Leisure Awards: The One & Only at the Cape Town Waterfront and The Twelve Apostles Hotel and Spa near Camps Bay. Muizenberg near Cape Town is one of the 20 best surf towns according to National Geographic. Read more. Cape Town was named in the Tripadvisor Travelers' Choice Awards as the Best Destination in the World. The award is based on reviews of more than 20 million users reviewing destinations and hotels around the world. Read more. In National Geographic Magazine as well as in the Lonely Planet Awards, Cape Town South Africa is listed No. 2 of Top 10 Beach Cities in the World. In the World Travel Awards, Cape Town is considered to be one of the top destinations for business travelers. 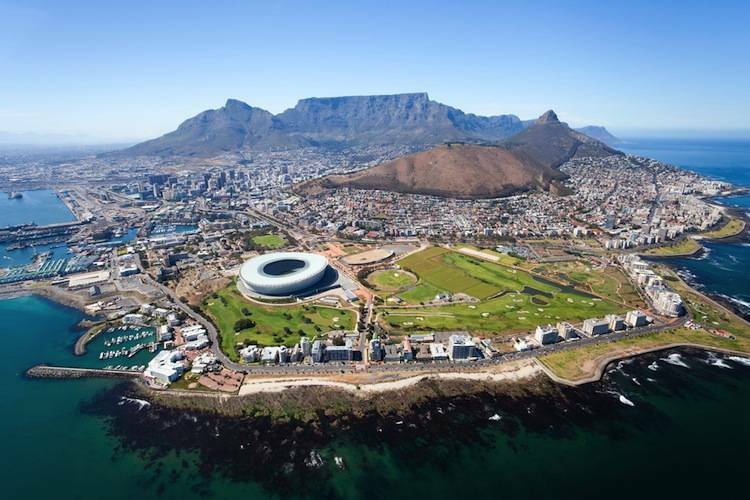 Cape Town was the winner in the category 'Africa's Leading Destination' at the World Travel Awards with the Westin Grand Cape Town was voted the best meetings and conference hotel in Africa in 2010. Read more. 2008 - Why Cape Town? National Geographic even added the Mother City to their listing of the 'Places of a Lifetime'. In November 2008, the readers of the UK Daily and Sunday Telegraph voted Cape Town as one of the favorite cities in the world. 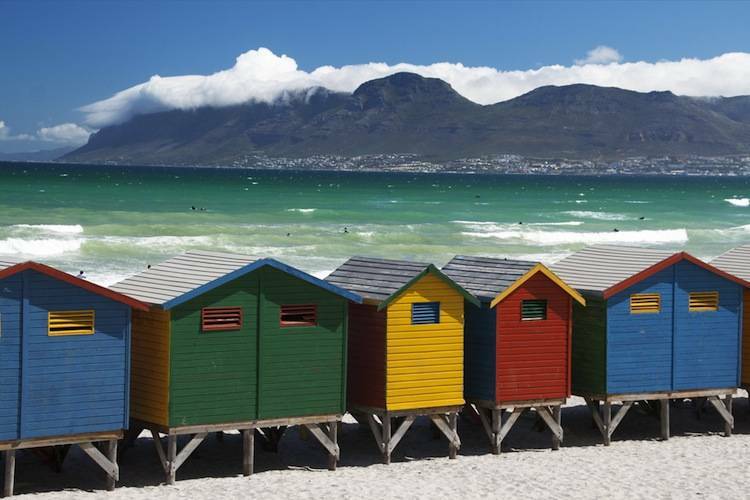 Why Cape Town for Expats? These are all great reasons to consider Cape Town not only for travel, but also for your next expat assignment. Even if as an expatriate you will not only enjoy the sweet life of a tourist, you will have to deal with the facts of work in an African country. So many questions regarding the quality of live of your expat destination will pop up. Go on and read here about the best reasons why Cape Town is the best place for expat living here, find the newest ratings by expats and links to some of the most recent expat surveys. In the Mercer Study 2012 put Cape Town on 91st place regarding the quality of life for expatriates and their families. The cost of living is low compared to many cities in the world. According to the Mercer Survey Cape Town ranks at 200 out of 214 major cities around the world and thus as one of the cheapest for expats earning foreign currency. Read more. In the HSBC Expat Survey 2015, South Africa has dropped to rank 32/out of 39 compared to 2012, South Africa ranks 3rd in overall expat experience. As reasons cited are: corruption, political insecurity, ailing economy and new restrictions for immigration. In 2015, Cape Town received high acclaim for their involvement in climate change initiatives and search for alternative electricity supply. In 2010 the Mercer Study Eco-City Listing Cape Town ranked 30th ahead of Johannesburg, Abu Dhabi and Dubai. In 2006 Cape Town was voted one of the top 20 expat destinations worldwide by fDi (Foreign Direct Investment) and I am sure many expats still would support this high ranking. Going out is affordable again, even for the big family. There is the most delicious foodavailable in the amazing Cape Town restaurants.